Centre name will be TP name & Centre head will be employee of TP, thus Rent Agreement should be with the name of either TP or Centre Head who will be representing the TP (SUNAINA SAMRIDDHI FOUNDATION). Only TP owned centres are eligible for target allocation subject to the fulfillment of other guidelines and conditions. Franchisee centre is not permitted. As on the 14th June 2017, Training centres in the following states were not eligible for target allocation: Haryana, Rajasthan, Uttar Pradesh. As on the 14th June 2017, Training centres applying for job roles under the following sectors were not eligible for target allocation: Apparel, IT/ITes, BFSI, Telecom, Electronics. 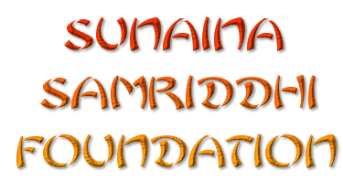 Note: SUNAINA SAMRIDDHI FOUNDATION has proprietary rights over the contents of this mail and hence you are requested not to share the same with anyone, without our prior approval from us.